You guys, it’s happening again! Forget The Dress, What Colors Are These Shoes? 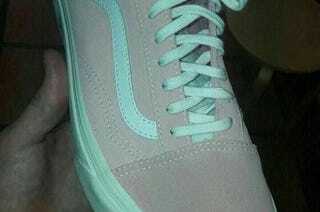 Are they gray and teal or pink and white?